Seems as though everybody is focused on whether sportswriters are mostly liberal – as if it matters. Bryan Curtis, an editor-at-large for the Ringer, has sparked discussion on whether sports writing has become a liberal profession. The attacks by the president and the alt-right on news coverage have clearly spilled over. Curtis writes a smart, well-crafted piece – even if, at times, we disagree. He offers a nice analogy in the lede that resonates in the conclusion, interviews several significant sportswriters, and cites several key situations where it might appear that sportswriting is more liberal. The Big Lead’s Ty Duffy also offers some interesting thoughts on the topic, reflecting specifically on Curtis’s piece. First, let’s look at Duffy’s piece in the Big Lead. In his piece, Duffy writes: “This isn’t necessarily a “woke” white sportswriting thing.” Today’s sports media looks far different from the crowd of reporters milling around a sports department or a football practice facility 30 years ago. So it’s no surprise that story perspectives, ideas and opinions would change somewhat, infused by a great number of talented women and people of color. Marlow dismisses this notion, saying that Sports Media Land is less intellectually diverse today. He offers up Curt Schilling, the former ESPN analyst who was fired after calling muslims “extremists” and saying Hillary Clinton should be buried under a jail – and, thus, killed – among other things. He was fired because he became a hindrance: people were talking more about his beliefs rather than his assessment of pitchers on Sunday Night Baseball. Afterward, FOX Sports refused to hire him. Marlow offers another example that includes Mike Ditka, which you can read for yourself. It’s fairly easy to cherry pick facts to suit one’s own purposes. Duffy, meanwhile, writes that sports media will skew liberal because people entering college – and, thus, sports journalists – emerge from backgrounds that are financially more stable than the general public. He clearly has not visited colleges like mine, here at Eastern Illinois, or the hundreds of community colleges across the country that attract blue-collar and low-income students. Many students, sadly, accrue considerable debt, thanks, in part, to states having eviscerated their support of education. It’s not unusual for us to learn that a student has not returned to EIU because of finances. In Illinois, MAP grants that help support lower-income students were wiped away during the past year’s budget debacle, which still has not been resolved. I quit college twice because I could not afford it, even after working two to three jobs a summer to generate funds – and often working part-time during a semester. That helped me develop empathy toward others, but it clearly did not cultivate my political sensibilities or prompt any sort of fealty to a single ideology: I voted for Reagan in 1984 and for Clinton in ’92 and ’96. So let’s just admit there is no evidence that illustrates whether sports media is more liberal, or intolerant, than 20, 30 or 60 years ago. If you feel strongly either way, check out Freakonomics or Scorecasting, books that challenge conventional wisdom. Duffy writes: The sports media will skew more liberal because of location. I’ve known wildly liberal people who cover auto racing and golf, or who are considered more conservative cover tennis and baseball. You’d probably never know, though, because these writers, typically, keep their opinions out of their journalism. Liberals now cover sports in Auburn, Ala., and conservatives write about sports in Boston. I do not see where sports writers adjust coverage based upon the state in which they reside. Most are far more interested in chasing the best storylines, and sometimes that means reporting on NBA players like Stephen Curry or LeBron James or NBA coaches like Steve Kerr, Stan Van Gundy or Gregg Popovich. That’s our job, even if such comments counter our own point of view. Would sports writers have shared political views by athletes and coaches in the 1940s, ’60 or ’80s? They did. In the 1968 Olympics, Tommie Smith and John Carlos raised gloved fists to protest racism in America, a precursor to Colin Kaepernick’s more restrained kneeling during the National Anthem at NFL games this past year. In addition, Muhammad Ali, Kareem Abdul-Jabbar and Jim Brown were not exactly snowflakes in their comments about American politics. Audiences in New York, as Duffy suggests, are clearly more inclined to embrace liberal ideologies than those in Birmingham, Ala., but that doesn’t mean writers are going to change their beliefs to fit in. In fact, an old journalism bromide goes something like this: That we are expected to afflict the comfortable and comfort the afflicted. Writers in these cities do sometimes take stances that are wildly unpopular with hometown fans. sports coverage skews more conservative in parts of the country. students are being indoctrinated to think more liberally. Marlow cites a study conducted by Econ Journal Watch that states more professors self-identify as Democrats than as Republicans. Based on this study, faculty at 40 leading American universities across the fields of economics, history, journalism/ communications, law and psychology outnumber Republicans about 11.5 to 1. Here’s another significant number, though: 45.6 percent of faculty did not identify with either party. We do not know which faculty identified more as Dems, Repubs or independents. We do not know whether journalism professors, trained to remain neutral while reporters, were more independent than those who teach in the other majors. Or if they were uber liberal (and, oddly, also uber conservative) like Melissa Click, the Missouri comm professor who threatened a student photojournalist in a public area, which sickened those of us who teach or practice journalism. This video revealed that Americans, and this professor, were willing to suspend free speech for their own self-interests; it also clearly displayed gross ignorance about the First Amendment. As a journalist, I believe strongly in transparency – so much so that I believe all government information should be made available online without being prompted by a FOIA request. In reporting classes, we talk about free speech, public relations tactics and neutral coverage more than politics, although that topic does arise. How could it not when the last few presidents have increasingly withheld more information, and when the current administration attacks the media, making false claims and saying that alternative facts are acceptable. I also frequently share that I vote more Democratic nationally, more Republican locally and dislike all political parties. I believe I am moderate: liberal on social issues, conservative on fiscal issues and all over the place on other topics. My friends here in Charleston, Ill., will tell you that I am far left, but that’s because many of them are far right. Politics, of course, depend on one’s point of view. That’s why a writer for Breitbart might characterize sportswriters as liberal, or why a sportswriter from the New York Times might take the opposite viewpoint. Ultimately, the evidence does not yet exist to prove either stance. That’s where Curtis’s article comes into play. More on that later. Twitter condenses and polarizes political views. Twitter primes immediate and emotive reactions. Twitter also distorts the picture of reality greatly. There is an activist in-group in the sports media that is loud, fervent, and ever-present on Twitter. That doesn’t mean that group represents the industry writ large. They may intimidate conservatives from speaking out. They also intimidate many moderates who want to obtain information, share content, and not engage on issues of social justice. Sports media Twitter is quite liberal. That doesn’t mean sports media is. I posit my examples as illustrative, not definitive. Like others, I have read many highly partisan comments on social media by journalists. But, I suspect anybody who follows sports on social media, will find far, far more content that is not incendiary. Somebody needs to research this topic for a properly vetted paper. No doubt, Duffy is correct that American society has become polarized: Politics is shifting and everything is political. Further, the definitions of “liberal,” “conservative,” and all other political terms continue to evolve – same as it ever was. For example: President Reagan, a beacon of conservatism, would be considered far more moderate today compared to others running in the 2016 primaries. No doubt, American perceptions on these topics have changed a great deal during the past several decades. But since when is stopping prejudice a liberal cause? Since when is protecting one’s health a liberal cause? Since when is empathizing with others a liberal cause? I do not accept that conservatives are heartless. Further, I do not believe these issues naturally skew toward either ideology. 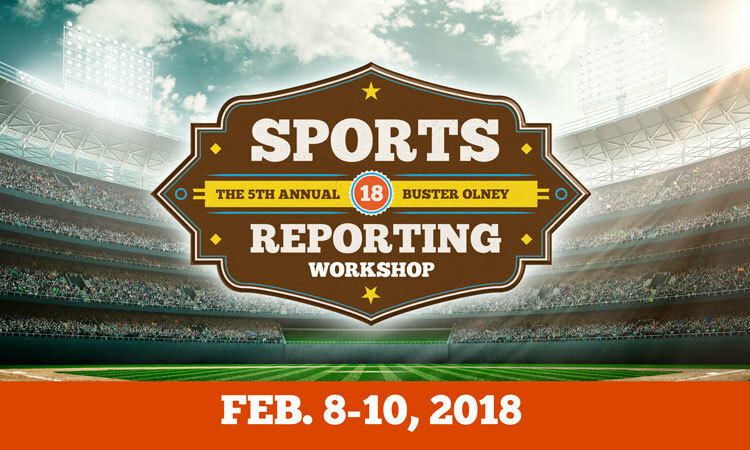 Curtis says sportswriters no longer cover free agency with as much passion as they did back in 2000 when Alex Rodriguez received a $252 contract from the Texas Rangers. That’s because, Curtis suggests, sportswriters now feel more kinship with athletes than owners. But let’s no forget that large contracts today are far more commonplace. In 2000, A-Rod’s annual salary of $25.2 million exceeded entire payrolls for the Brewers, Royals and Twins, and the total contract was twice as lucrative as any previous deal with any athlete in any sport. It was more than the total amount the Rangers’ owner had paid for the team. A-Rod’s contract was stupefying for its day. Go find a modern contract nearly as shocking. Plus, there’s this: fans today receive much more information about monies that teams and leagues receive from TV and radio contracts, ticket sales and other financial considerations. Over time, societies (and sports) change. Nostalgia is definitely sports’ strongest visceral tug. So it is outside the lines as well. So perhaps we should determine ideology based upon a fans’ view on the designated hitter rule, still debated 40-plus years later. The ‘progressive’ DH rule has altered the way baseball is played in the same way full-time placekickers have changed football. After all, who wants to see a pitcher flail at pitches or a quarterback flub field goals? Plenty. Especially fans in the National League or older folks who recall when the game was “pure,” which evokes all kinds of scary notions. On the other hand, screw the new rule where a runner gets automatically placed on second base to start any extra inning in the minors in an attempt to shorten games. Is that an ideological issue as well? SMFH. How about Kaepernick’s NFL protest? There have been terrific perspectives on both sides of that issue, although my favorite is this one by Armando Salguero, a reporter for a newspaper in the middle of a heavily Democratic Florida county, but which contains an older conservative Cuban community. Are those, like myself, who appreciate Salguero’s opinions thus considered conservative? Where does this nonsense stop? Listen: Curtis is a respected journalist who works through these trends and issues rather well, even if his attempt to understand this topic gets hijacked by those who use it to their own advantage – not that that should not be any writer’s concern. Journalists should report verifiable facts, offer comprehensive context, interview key people, research throughly, and present information to the best of their abilities. In the end, no matter how well journalists do their jobs, others will disagree with pretty much any story. In the meantime, we should stop trying to characterize any profession or person, unless we have clear data or examples that support such claims. The media’s most powerful role, ultimately, is this: persuading people what to think about, not persuading an audiences how to think about an issue. Check out our weekly podcast on sports media. Episode 21, produced this week, addresses the recent attempts to label sportswriters. This entry was posted in College Media, General and tagged Armando Salguero, Breitbart, Bryan Curtis, Colin Kaepernick, DH rule, liberal sportswriters, politics, Redskins logo, Ringer, Robert J Marlow, sports journalism, sports journalism education, sports media, sports politics, sportswriting, The Big Lead, Ty Duffy. Bookmark the permalink.